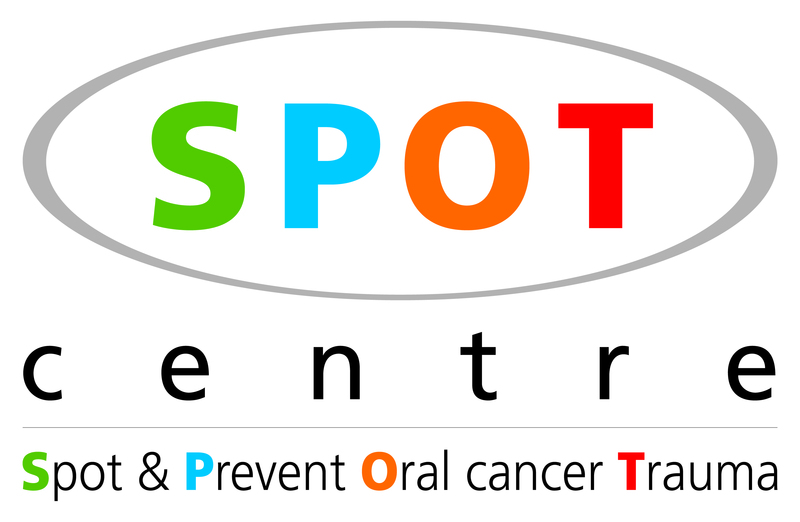 Our clinic is a S.P.O.T Centre which aims to promote early detection and intervention thereby reducing the burden of oral cancer. With the help of latest oral cancer detection techniques oral cancer prevention and early detection is available to the patients. India has the world's highest incidence of oral cancer, with 75,000 to 80,000 new cases a year. Oral cancer is the most common cancer in Indian males whereas third most common in the female population. Almost one-half of all cancer cases in men and one-quarter of all cancer cases in women in India are believed to be tobacco-related. When found early,oral cancers have on 80 to 90% survial rate. Unfortunately, the majority of cases are found as late stage cancers, and this accounts for the vary high death rate of about 45% at flve years from diagnosis, and high treatment related morbidity in survivors. Earache that doesn’t go away. These symptoms aren't always caused by mouth cancer but if you have them, visit your GP or dentist. Any obvious lumps, bumps, etc. that may be seen on your face. Any change in shape, size number or colour of warts or moles. Soreness or swelling along the side of your neck. Tenderness or change in colour of lips. Any pain or swelling on inner side of cheeks. Any swelling or any changes in colour and consistency of tongue and floor of mouth. Doctors don't fully understand why mouth cancer develops. However, certain factors make mouth cancer more likely. Smoking any form of tobacco - cigarettes, cigars and pipes, as well as bidis or hand-rolled cigarettes containing cannabis. Chewing tobacco, such as betel quid, gutkha and paan. Drinking excessive alcohol, especially at the same time as smoking or chewing tobacco. Having already had cancer of the head and neck. Exposure to the sun or UV light - this increases the risk of lip cancer. A weakened immune system - people who have HIV/AIDS, or who are taking medicines that suppress the immune system, are more likely to develop mouth cancer. The earlier mouth cancer is diagnosed, the better the chances of recovery. Your dentist may spot mouth cancer in its early stages during a routine check-up, so it's important to visit your dentist regularly. Your doctor or dentist will ask you about any symptoms, and examine you using a small mirror for harder-to-see areas. He or she will feel your neck and face for swellings. You may then be referred to an ear, nose or throat specialist for further tests. You may have the following tests to confirm diagnosis. Mouth and throat examination - your doctor may use a special instrument called a laryngoscope to look inside your mouth and throat. Biopsy - a sample of cells or tissue is removed and sent to a laboratory for diagnosis. If the biopsy shows that you have cancer, you will have further tests to find out how far it has spread and to help decide the type of treatment you will need. This is called staging the cancer. The tests may include the following. X-rays of the upper and lower jaw (Panorex X-ray), or the chest, or both. Barium swallow - this test involves swallowing a drink containing barium (a substance which shows up on X-rays). The X-rays will show up any unusual growths in the throat. Scans - these may include ultrasound, MRI or CT scans. These are done to check the muscles, organs and tissues in your face, throat and chest. Further biopsies of nearby lymph nodes. Lymph nodes are glands throughout the body that are part of the immune system. Treatment depends on the type of mouth cancer, where it is and how far it has spread. Your doctor will discuss your treatment options with you. There are three main treatments for mouth cancer. Surgery (including the use of lasers) involves removing just the affected tissue. How much surgery is needed depends on how much tissue is affected. Surgery is sometimes followed by chemotherapy or radiotherapy treatment to make sure all the cancer cells are destroyed. Radiotherapy - radiation is used to kill cancer cells. Chemotherapy - anti-cancer drugs are used to destroy cancer cells. They are usually injected into a vein but sometimes may be given as tablets. Biological therapy - special manufactured monoclonal antibodies (cetuximab) are used to block areas on the surface of cancer cells that can trigger growth. Radiotherapy is then used to destroy the cancer cells. Cetuximab is a new treatment and is approved for use only in advanced squamous cell cancer of the head and neck. Prevention is the best cure…..in fact, prevention is the only cure for oral cancer. Simple lifestyle changes can reduce your risk of mouth cancer. Look for any changes in your mouth such as, sore patches or ulcers that don't heal and report them to your physician. Eat a healthy diet with at least five portions of fruit and vegetables a day. Protect your skin from sunlight and other UV exposure such as sunbeds. Wear sunblock on your lips, stay out of the sun between 11am and 3pm and wear a wide-brimmed hat to protect your face.